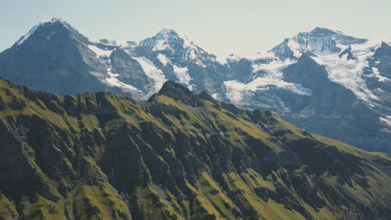 Description: Grindelwald and the Jungfrau region in general have become among the most popular destinations in Switzerland, so I went there with my Mavic Pro to show you some of the most iconic views in the Bernese alps from the air. Among them are the Bachalpsee, Lauterbrunnen valley, Wetterhorn, Eiger north face, 4000 m peaks such as the Finsteraarhorn, Mönch and Jungfrau and many more. However, there are still hidden gems lurking above Grindelwald as well, places such as the Chrinnenhorn and the Schreckhornhütte that require serious hiking, sure-footedness and a head for heights, but offer epic views of the Unterer and Oberer Grindelwaldgletschers rarely caught on camera (as few people are crazy enough to drag their gear over 1500 m up on the mountain) in return. I considered it a challenge to bring you footage of these spots as well, hopefully making you as enthusiastic about our planet and its mountains as I am, so that we may work together to conserve it. Shot on the DJI Mavic Pro in D-cinelike profile (2.7k) and edited in Adobe Premiere Pro using Spectrumgrades LUTs. Royalty-free music by Whitesand (Martynas Lau) - Glory (https://www.youtube.com/watch?v=YqJgEqCycEo).